Across the world, awareness of air pollution and its global impact on human health is growing. However, the extent and forms of air pollution can be a slippery problem to grasp, and without measurements to illuminate the contents of the air, it is impossible to know how to appropriately protect ourselves and our families, or effectively track pollution sources. 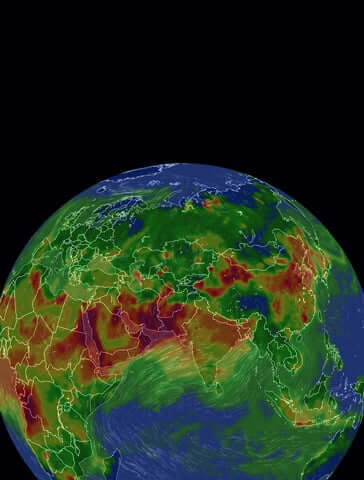 Whilst global air monitoring is growing, there are still vast gaps in the air quality world map. Countries and cities offer disproportionate levels of detail, leaving global communities in the dark, unaware of any potential risks in their air. Traditionally, public air quality monitors are government-owned. The EPA-standard monitors typically used by governments are highly expensive (tens of thousands of dollars), and so until recently, other options for more decentralized monitoring have been limited. However, recent developments in laser sensor and machine learning technology have opened the door for democratizing air quality readings, in making pollution monitoring technology more low-cost and accessible, providing everybody the chance to get involved in monitoring their environment. With the launch of the AirVisual Node air quality monitor in September 2016, our goal has been to provide an accessible and accurate air quality monitor without precedent. Now, just 10 months later we are seeing a groundbreaking new wave of crowdsourced monitoring, never before possible. With the tremendous help of engaged global citizens (truly all credit points here), AirVisual is thrilled to publish the very first real-time readings in 7 countries. From Cambodia to Mexico, Pakistan to the Philippines, Siberia to Alaska and beyond, dozens of citizen initiatives have taken control of their air. But who are these community data mappers and what drove them to provide their valuable data to their local, and global community? In this new blog series Revealing the Invisible, stay tuned to meet the communities behind the data and see their stories.